Despite the fact that Pinocchio was released a mere 3 years after Snow White and the Seven Dwarves, the differences in story-telling and animation feel decades apart. Pinocchio seems to transcend its predecessor in every way possible. Let’s start with brass tax. The film cost almost a million dollars more than Snow White to produce and after watching it, I can see why. The environments and characters are far more varied than the Snow and the story spans a much larger scope. Unfortunately, when the film was originally released, it was a pretty big failure for Disney, thanks to a World War which took out a large portion of the overseas market. It made far less than Snow White, and the studio actually lost money on it. It was only thanks to a re-release after the war that the film finally saw the profits it rightfully deserved. 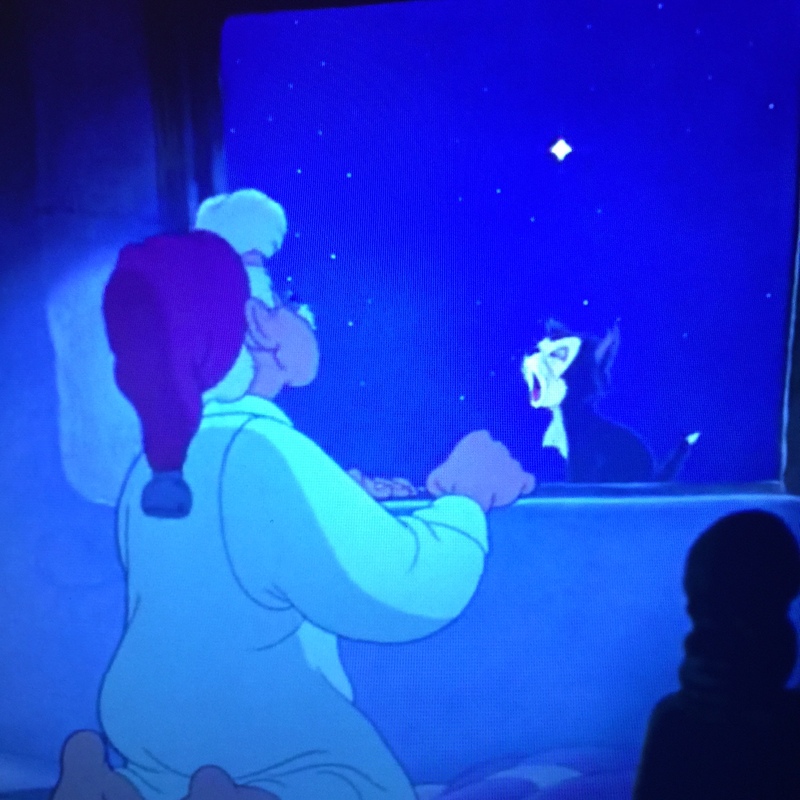 Geppetto wishes upon the fateful star. Pinocchio, if you’ve never seen it while living under a very nice, but over protective rock, is the story of a wood-carver, Geppetto, who makes a wooden puppet boy, Pinocchio, and wishes upon a star for him to become a real boy. Based on the book, ‘The Adventures of Pinocchio’ by Carlo Collodi, the film was a big challenge right off the bat. After all, Snow had been derived from a short children’s novel. Pinocchio was coming from a whole novel with a very clear cut story-line, so there was far less room for creative freedom (even though plenty was taken.) A fairy shows up and turns the little puppet to life, but says that in order to become a real boy, he must prove himself worthy by by being “Brave, truthful and unselfish.” Basically everything that little boys struggle with. At its core, this is a morality tale about the dangers of drinking, smoking and worst of all, acting. 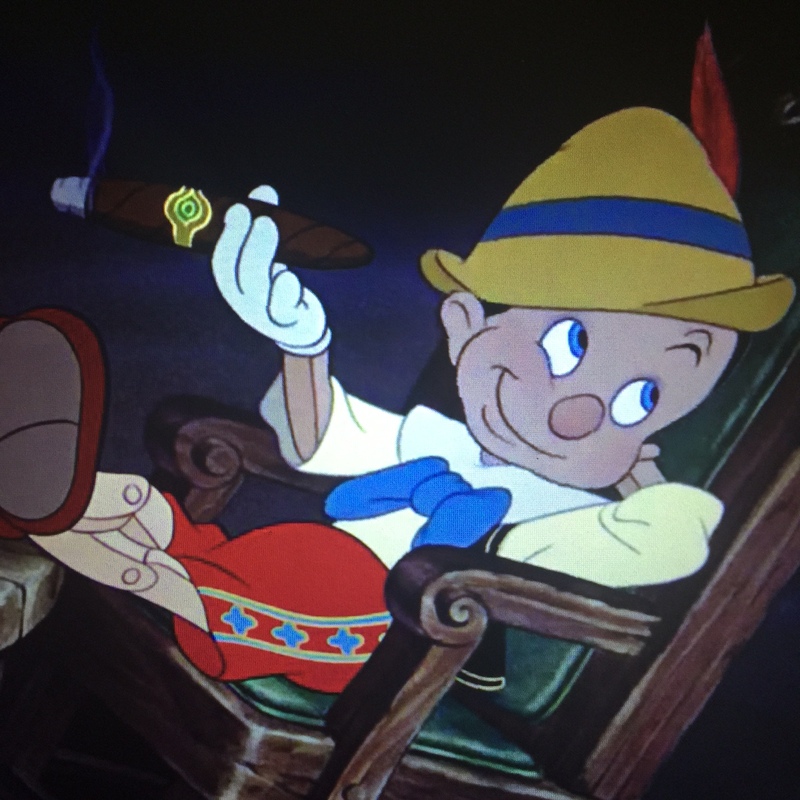 Honest John convinces Pinocchio to be an actor by showing him some fancy smoking skills. Personally, I find little Pinocchio to be a star that is far more fun to root for than his predecessor, Snow White. He’s charming but incredibly flawed. I found myself wanting so badly for him to make the right call, despite the fact that he almost always makes the wrong one. He’s easily influenced by both good and bad and he makes the whole film a fun adventure that truly feels as if seen through the eyes of the child. At one time, the film was almost scrapped due to every test of Pinocchio looking like a stock wooden puppet. Walt was concerned that he wasn’t lovable enough and let’s face it, a character that makes this many choices better be cute if we’re going to care. 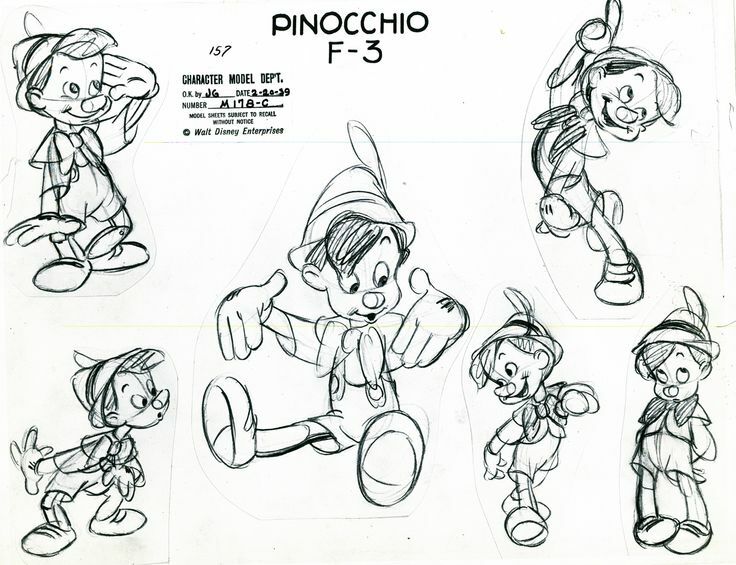 It wasn’t until Milt Kahl, one of the younger animators on the project, called out the fact that the best way to make Pinocchio feel more like a real boy was to simply draw him as such and then add the joints and wooden bits later, that the project really took off. Every character in this film oozes charm. Figaro, Geppetto’s adorable cat as well as his fish Cleo are adorable and fun to watch. The gags which use Figaro are always funny even to this day, especially Geppetto holding his tail as he tries to follow Pinocchio to school. Honest John and Gideon, the main foil to Pinocchio, are devious and make great villains as they sing and dance their way into convincing the little wooden boy to do naughty things like becoming an actor or going to Pleasure Island where boys get to do as they like. “High Diddly-Dee, an Actor’s life for me.” Even side characters like Stromboli, the puppet master and the Blue Fairy are animated with all sorts of flair, which make them memorable despite their small parts. The Blue Fairy looks so real even in a CGI filled world. The real hero here, and the character that sticks in our heads the longest is actually one that was added quite late in the production process, Jiminy Cricket. In the original novel, Jiminy was not named Jiminy and merely told Pinocchio, a far less likable character, of his poor behavior. For this, he was killed with the smash of a hammer, at which time he comes back as a ghost in order to continue his berating. 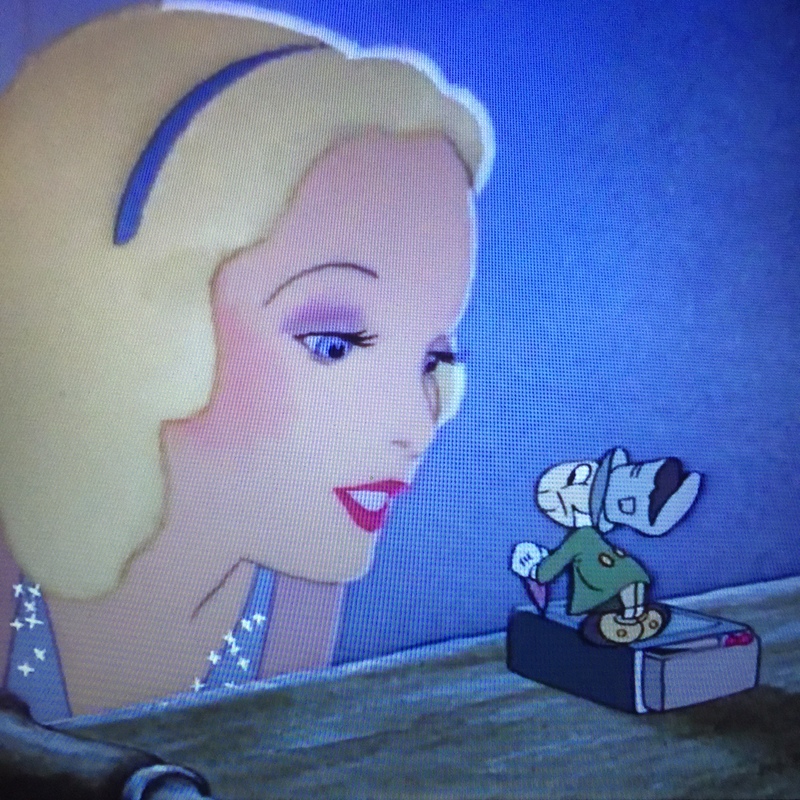 Walt saw the potential for a character far more intricate to the story and also killed two birds with one stone, realizing that the addition of Jiminy made Pinocchio stray less from his path and thus made him a less chaotic and more lovable character. He doesn’t just go with Honest John because he’s a bad kid. He goes because his conscious, Jiminy, overslept and wasn’t there to steer him in the right direction. Jiminy was also made to look as little like a cricket as possible as Walt thought the bug like appearance of a cricket would make people less likely to love him. Early sketches of Jiminy with an insect body and antenna were scrapped in favor of the little cricket we know today. One more fun fact about the little guy is that his name, which is also a polite way of saying ‘Jesus Christ,’ was yelled by one of the dwarves in Snow White. EVERYTHING IS CONNECTED!!! 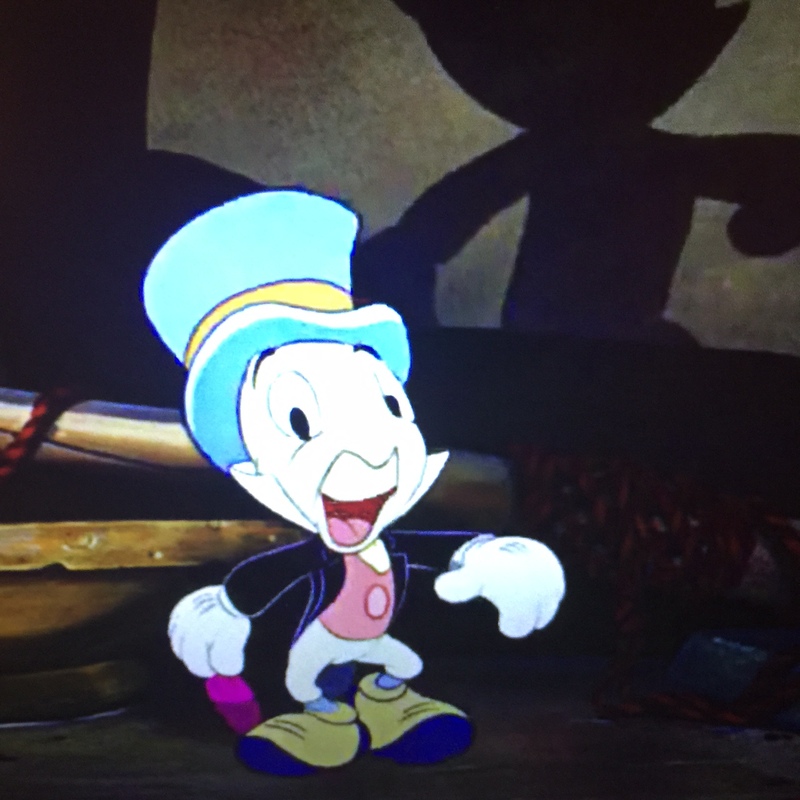 Jiminy is so cute in his top hat! But let’s face it, what isn’t cuter with a top hat?? Where was I? Oh right. 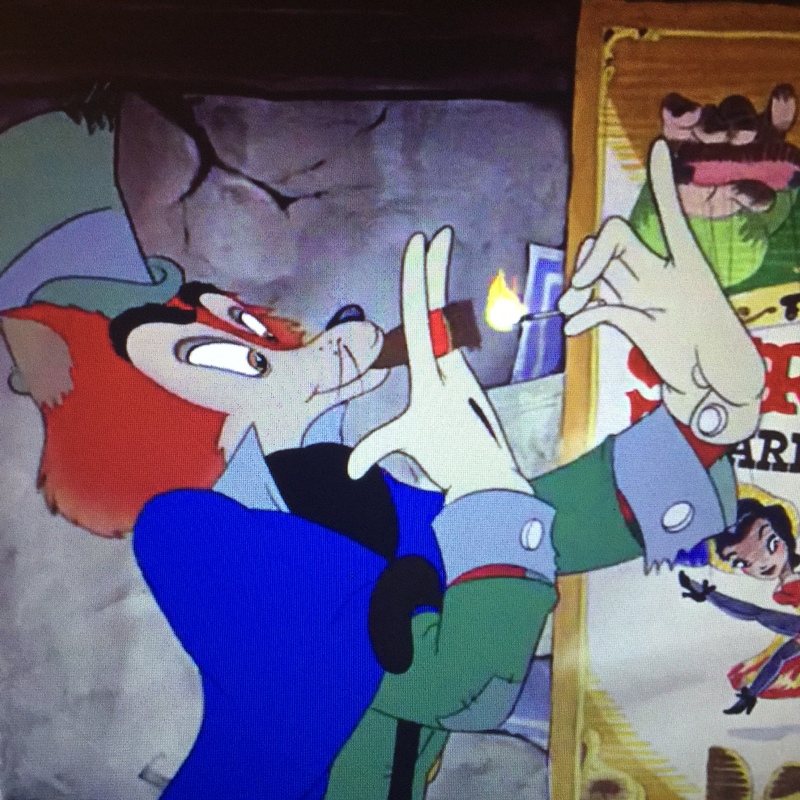 How can we talk about Pinocchio without mentioning all the contraband that would never be found in a children’s film today. Honest John lights up a big ol’ cigar the first time we see him and later we see his kitty friend Gideon drinking tons of beer and puffing smoke circles. This is bad enough but at least they’re villains. Right? Cut to Pinocchio going to Pleasure Island where he and his ‘friends’ start drinking and smoking and beating each other up in the Rough House until of course they all turn into Jackasses. Oh right, the word ‘Jackass’ also gets said a few times. Overprotective parents beware, Pinocchio might not be for you. 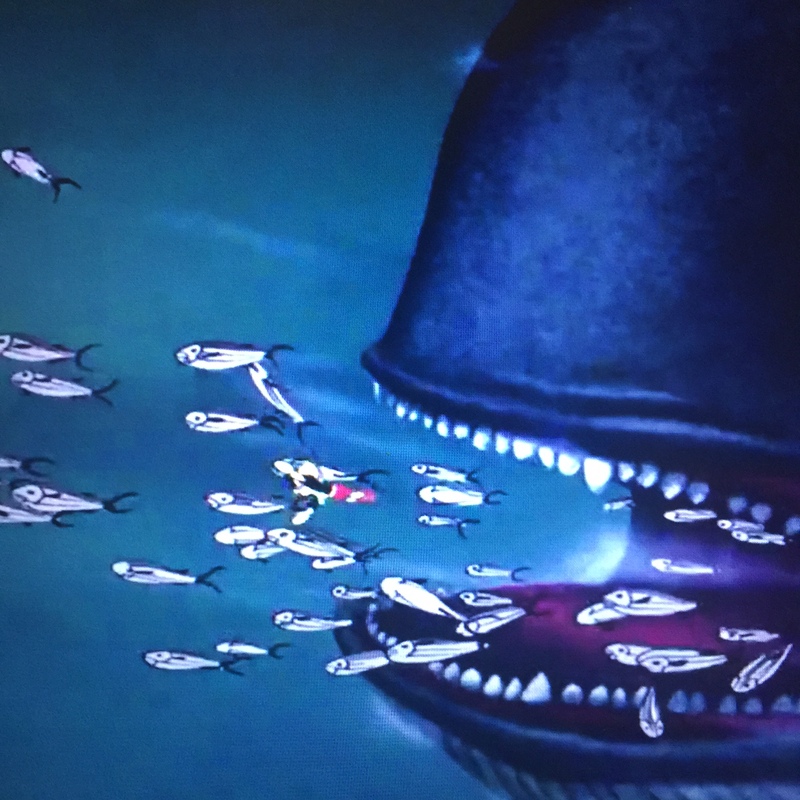 Easily the most visually impressive scenes of this film are those involving the underwater search for Geppetto and Co. as well as the interior of Monstro the Whale and the chase that ensues. The film won awards for the hand animation of this stunning water, which puts even some CGI water to shame. Monstro is a fearsome foe and rightfully so as Pinocchio must stand up to the scariest creature of all in order to be deemed brave enough to be a real boy. He does this, saving Geppetto, Figero and Cleo, all while still sporting donkey ears and a tail. 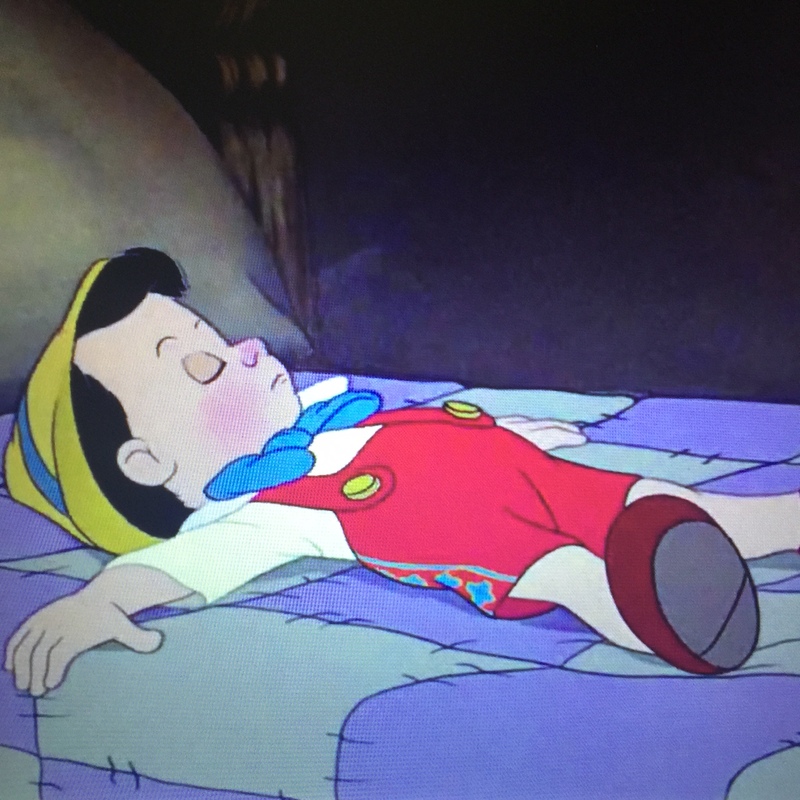 By the time the credits roll, Pinocchio is transformed and Jiminy gets his golden badge for being a good conscience and we once again hear that age old tune telling us that when we wish upon a star, as long as our heart is true, our dreams can really happen. The film is immensely fun and beautifully animated and moves at a pace far superior to Snow White. It retains a 100% score on Rotten Tomatoes and rightfully so. I can’t believe we are only two movies deep into the Vault and already I feel like I’m watching a masterpiece. There is something here for young and old alike and the movie is simply timeless. So what do you guys think? Is Pinocchio one of your favorites? Let me know in the comments! This new adventure of blogging as we watch the movies has already been so fun and inspirational. I love the idea of uncovering the hidden histories of these movies I used to love as a kid and I hope you’re enjoying them as well. Pingback: Pinocchio Terminator [Jaysen Headley’s Disney Vault Project: #2 + Terminator] | KCRRLives! This film is a masterpiece and one of my top faves! Jiminy Cricket is probably one of my most favorite side characters! Yes, love this film. Probably my favorite so far, although I had a very special soft spot for Three Caballeros. Have you watched all 54 films of the animated Disney Canon already? Or will there be films in this journey that will be your first time watching them? Well. The ones I haven’t seen were earlier so I’m watching a lot of the project films for the first time. There will be plenty that I don’t remember very well and maybe a couple I will realize I never saw. For example. I had never seen Dumbo.